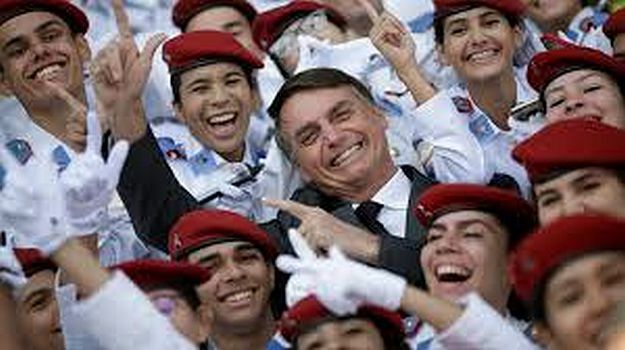 The crisis of the Brazilian bourgeoisie's political apparatus multiplies with the lumpenisation of entire social sectors and the consolidation of the mafias and "commandos", which are inserted into the state through the control of elections in the disintegrating neighborhoods. It goes without saying that this control occurs through terror and violence against the workers who live in them, many of whom take refuge in the Evangelical and Pentecostal churches. The new churches have been, for years, the last element of social cohesion in many places and are integrated with honour - as in so many countries- into the state and the bourgeoisie. The daily defeat of many workers in the face of this decomposition and the organised lumpen commandos explains their inability to unite. Brazilian capitalism has few illusions to sell, even football nationalism is difficult to mass produce after the Lulista "redistribution" resulted in an income distribution in which 1% of the population receives 23% of income. For the workers, nothing has remained of the "optimism" and "miracles" of Brazilian capital, but a massive pauperisation, which the growth of unemployment alongside a disastrous social assistance system can only feed. Due to its repercussions on the imperialist balance, it is not surprising that even governments like Macri's are disturbed. Not so much for the current rivalries, an agonizing duel between two declining giants. But because the triumph of authoritarian nationalism means that in the region, and for the first time since the beginning of the eighties, there are once again present the conditions for an imperialist war. 7 of the top 20 most violent cities in the world are to be found in Brazil and 60,000 murders took place there in 2017. According to this BBC World Service article, 20 Dec 2018, Brazil is the main destination of Chinese investment in Latin America.Entidades como China Development Bank y Export-Import Bank of China están detrás del desarrollo de grandes proyectos de construcción, especialmente en Brasil, el principal receptor del dinero chino. bbc.com The same article alsao says China is lending nothing to Venezuela.